My name is Anansi, im a diamond Zerg player in Starcraft 2 and have been playing Zagara since alpha. She is a sustained dps hero, that is well rounded in camp taking, sieging or team fights. The first build is best for camps and sieging but is weaker in team fights, it abuses map presence with the nyuds while the other can eat an entire team with a well place devouring maw. If you're new to zagara i suggest using the 'team fight expert' build till you get the hang of her, the 'map hack build' is for those who want to unleash her hidden potential. 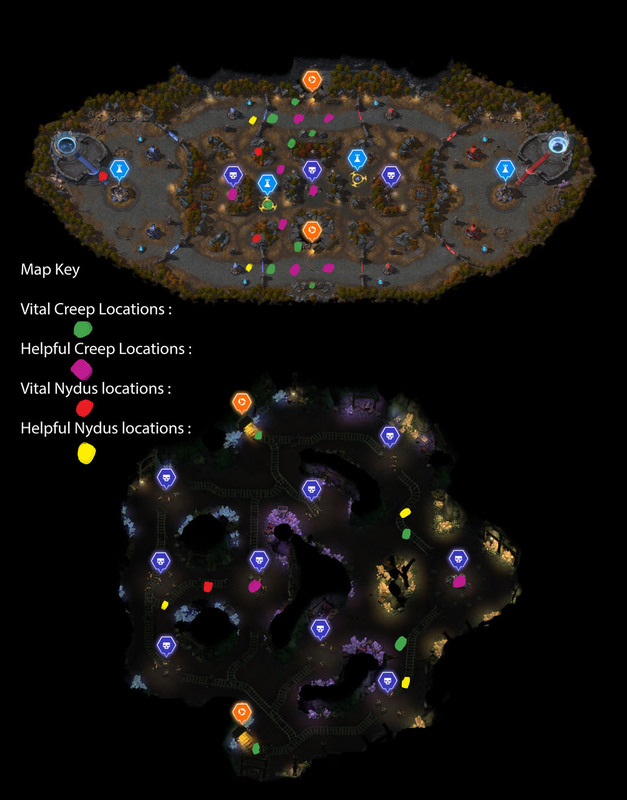 Remember that you're a Zerg queen, meaning you're squishy so good creep spread is key to these builds, for both movement speed, regeneration and later in the game (when you have the nydus network ult), vision to place down you're nydus network. Have fun overwhelming you're Foes with these build and remember Cerebrate, Glory to the Swarm! 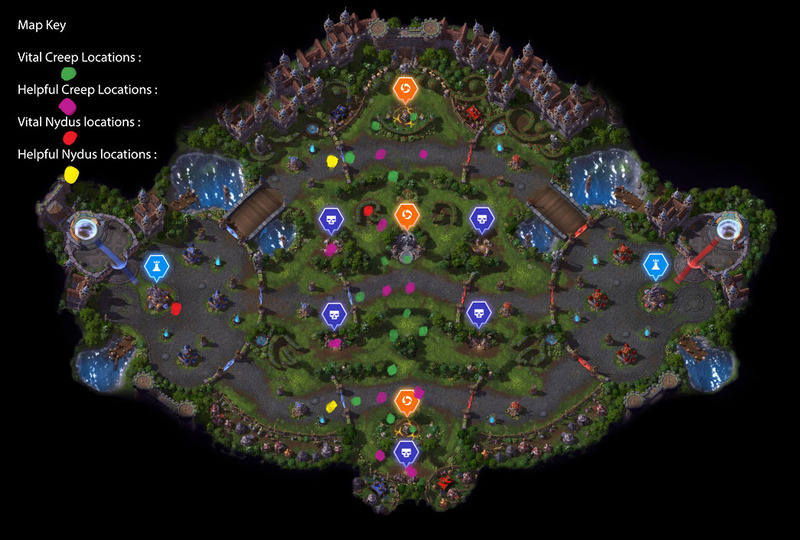 The 'Map hack build' is for people who have solid map awareness and who are familiar with Zagara and keen to take her to the next level. This is a build designed to make the best use of the 'Nydus Network', optimizing for sieging and taking camps quickly and effectively. Thanks to the new patch nidus has global cast range, so you can abuse healing at the nexus and get straight back into battle. The build is centered around Roachs and Hydras to out mass you're opponents and breaking their defenses true swarm style. The 'Team fight expert' has a different play style, you still have the ability to take camps with less ease but you have improved combat prowess with envenom and Devouring Maw. Transfuse will be vital to keep you're mana up and keeping you on the front lines, get in the habit of popping while taking camps and in bush's before and after team fights. When using you're devouring maw ult, aim to get more then on hero trapped init (this will be key to turning the tide in battle, this requires patience and vigilance) and get used to the trimming of when the come out so that you get the impact damage of roaches on them and banglings hitting them at the same time as they are released. This ult can also be used in desperation of trying to get away from pesky assassins such as Valla and Illidan. Fires 4 in a straight line and does 35 (5+ per level) aoe (area of effect) damage on impact. Best used against minions and camps. Can be used against Forts and walls/towers, but i advice not doing so if youre low mana, though if the minons are next to the fort you are pushing try to get them to hit both the minons and the fort. Does 60 (+12 per level) aoe damage on impact and spawns two Roachs that deal 13 damage (+2 per level) and last 8 seconds. Impact damage good against weakened minions or starting camp fights. Roachs are tanky and good at soaking tower fire and camp damage. Spawns a hydra on selected foe that does a high damage output of 40 damage (+6 per level) that lasts 8 seconds, hydra is squishy. Good at dealing damage to towers of forts, camps and enemy heroes. Make sure to use roachs to soak damage from camps and towers. 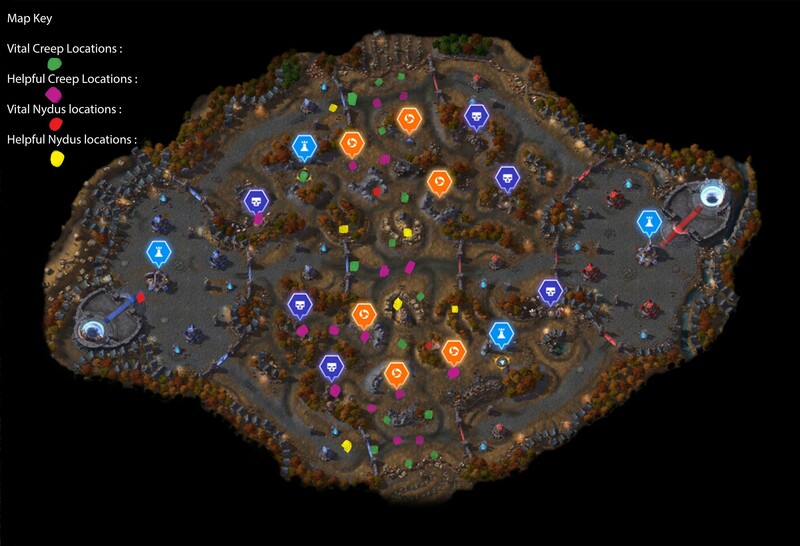 Spawns a Nydus tunnel (max of 4) that is connected to to any of your other Nydus tunnels on the map so that Zagara can move from large distances efficiently. Good for going back to the nexus to restore hp or mana and getting back to the battlefield quickly. Placing the Devouring maw ult over enemys will summon a nydus that will eat them for 4 seconds dealing 75 (+ 24 per level) damage. While traped that nydus will do 38 (+2 per level) damage a second. Try to time the Infested drop on top of nydus when they are released and do cast banlings while the roachs are coming down for both ability's to hit all those traped in side of the nydus when they are released. Place a creep tumor that increases Zagara and her summons by 20% and increases her heath regen to 1.5 (+0.3 per level), also grants vision of placed area. Best used to give heath regen to summons and self when taking camps, placed at the gate of lanes to run away faster and placed in bushes for vision. Stops zagara for 3 seconds and recovers 25% of Heath and mana. 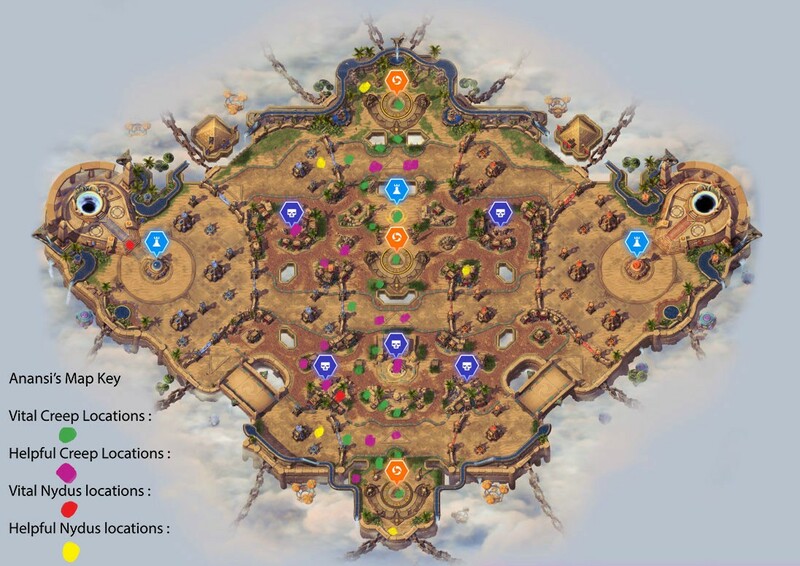 use while taking camps (when the camps are attack roachs and hydra is attacking) or before and after team fights in bush's. Great for keeping Zagara in the front lines. Targeting an enemy with envenom will do 210 damage over 6 seconds. With this trait wait till your certain that this will kill them, if there on low health they will die instantly and will often take enemy's by surprise. Take the closet easy camp and if you have ally's with you take the hard camp. 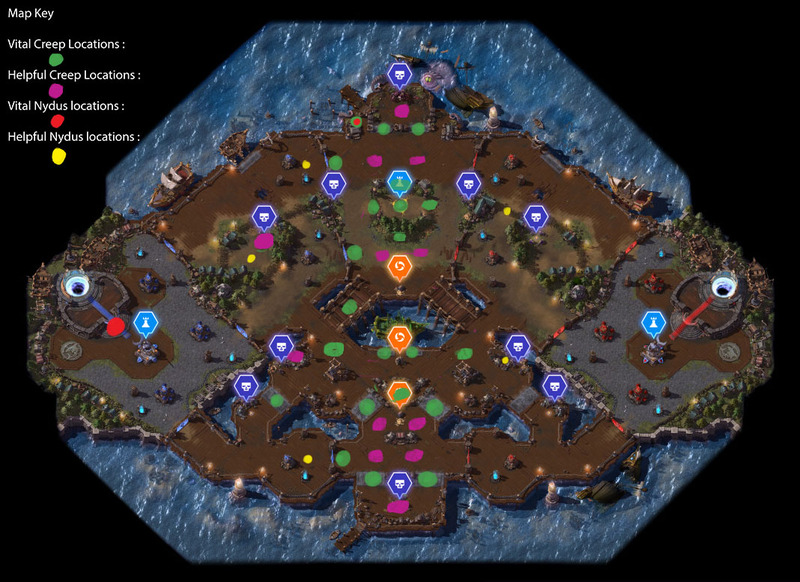 Place you're first nydus tunnel at you're nexus and you're second on what objective is most vital (e.g. Temple, Shrine, whatever lane you want to push, or by the hard if it hasn't already been taken yet). If you're ever in doubt where to place them putting them at each of you're forts is often a safe but solid solution as you can get to the top to the bottom of the map with ease. Get really aggressive, if you're ever in a spot of trouble use you're bolt in a direction where there's no enemy's and place a nydus ahead, preferably in a bush. 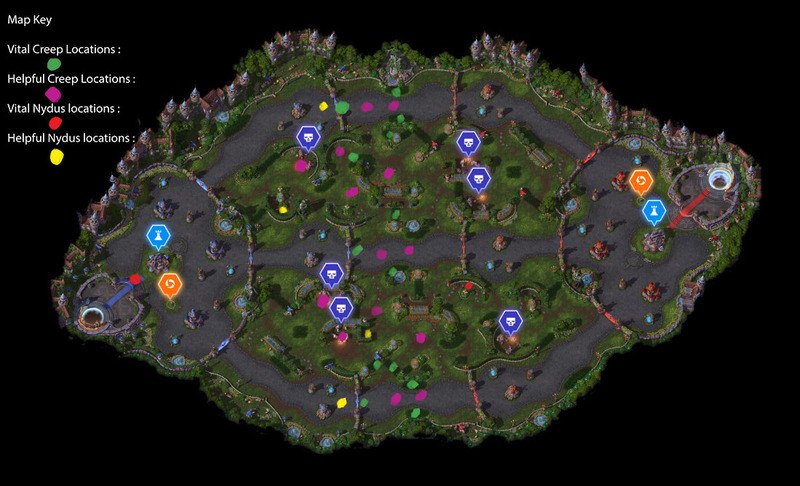 Start sieging hard and creep spreading all around there base, this will a) help with vision and know where the enemy is and b) help with movement sped if you ever need to back away. - place the second in the closest bush, keep placing them in bushes until all have vision. - place creep between lanes to see enemy's rotating, so you don't get picked on. - As for Nydus worms, Always place the first back at base and then have one at the bottom of the map or the top of the map, otherwise you use them to reinforce you're team quickly if you're elsewhere on the map.